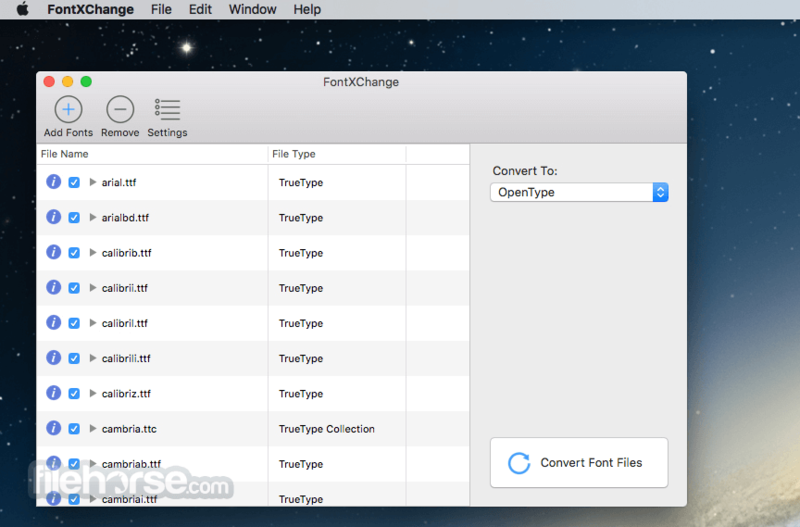 Convert PostScript Type 1 fonts (Macintosh or Windows format) into a single modern OpenType font file that works on both Macintosh & Windows. 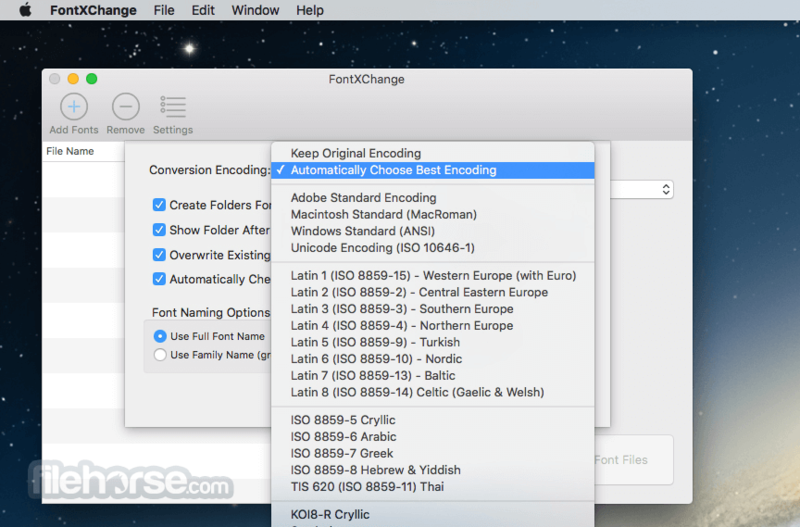 End the headaches of the outdated two-file system of screen font and printer font combinations. Just one font file that works. 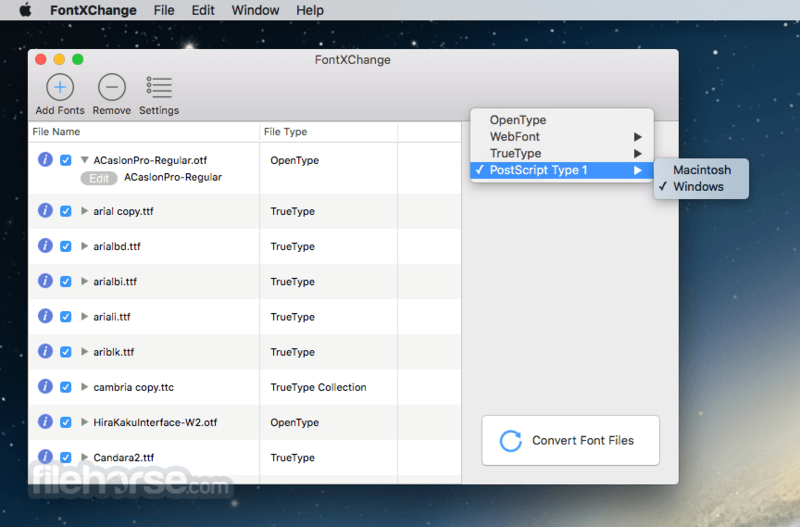 Convert TrueType fonts to PostScript fonts. No more printing problems and incompatibilities associated with TrueType fonts and high-end output devices. 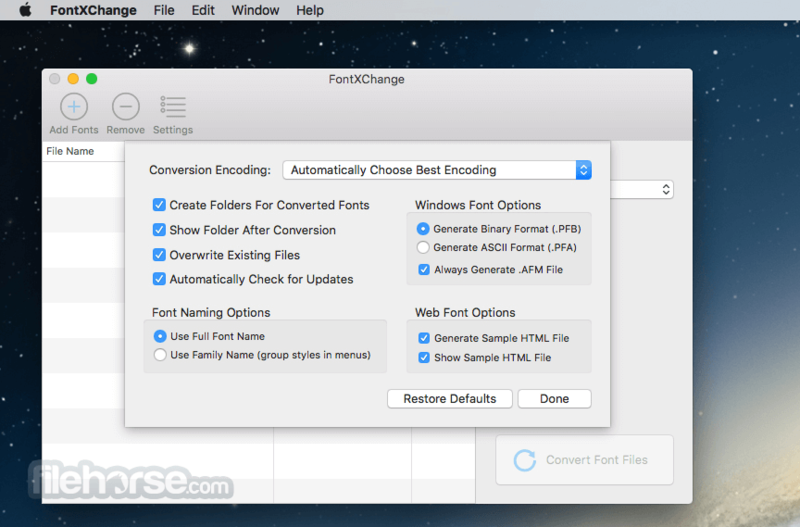 Convert Windows fonts to Macintosh and vice-versa. Easily share fonts across different computers, even different operating systems. Convert to web fonts that can be used on web pages. Note: Will randomly alter characters in the converted fonts.